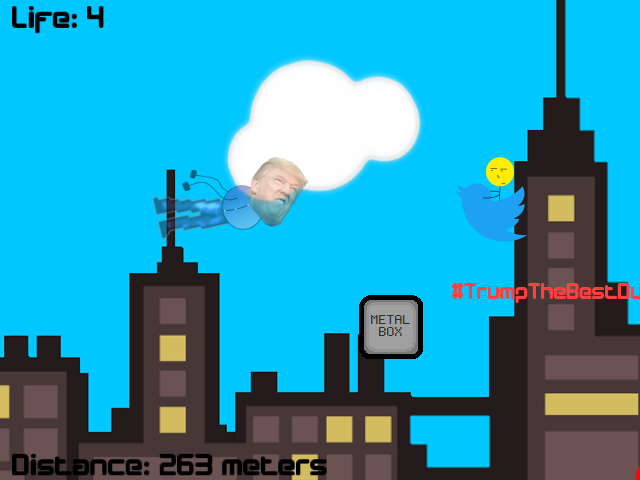 Ce jeu vous met dans la peau Donald Trump, où vous avez besoin d'échapper aux tweets en colère d'autres personnes qui veulent te tuer!! Essayez d'échapper à chaque tweets ou de vous transformer en Metal Trump pour faciliter la tâche!! This game put you into Donald Trump, where you need to escape to the angry tweets of other peoples that want you KILL YOU !!! Try to escape each tweets and transform you into Metal Trump for make the task WAY easier !! 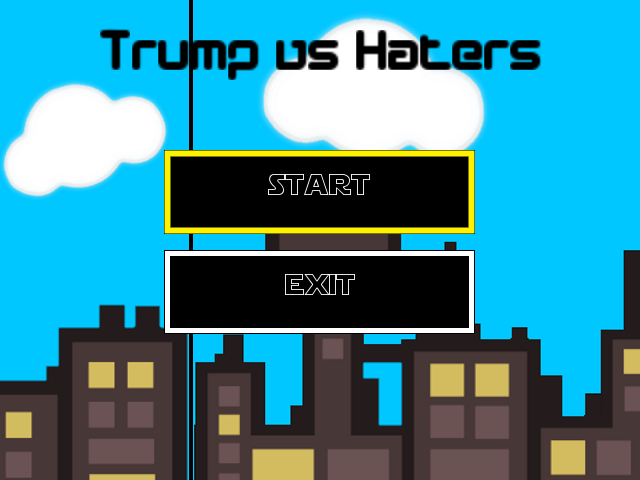 Extract the rar file and run "Trump_vs_Haters.exe".